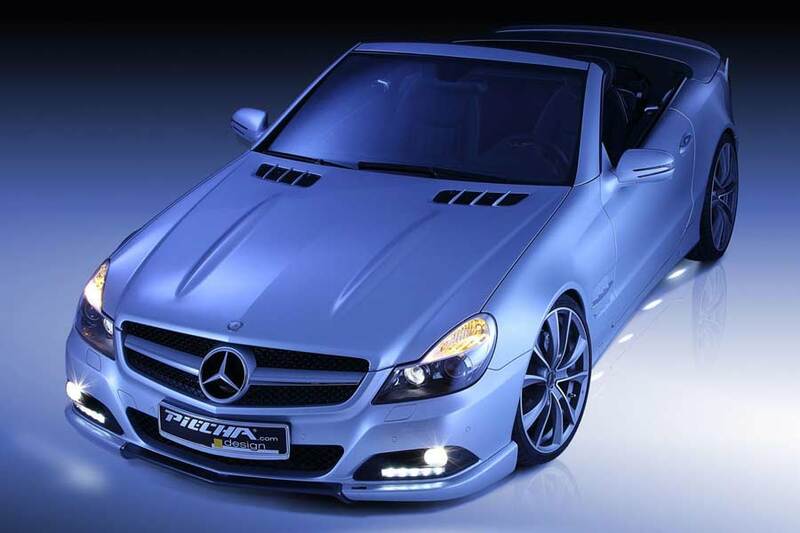 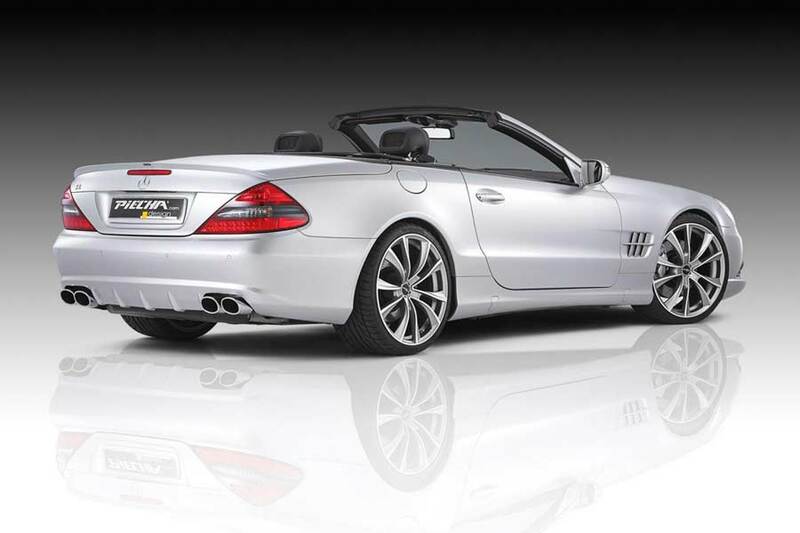 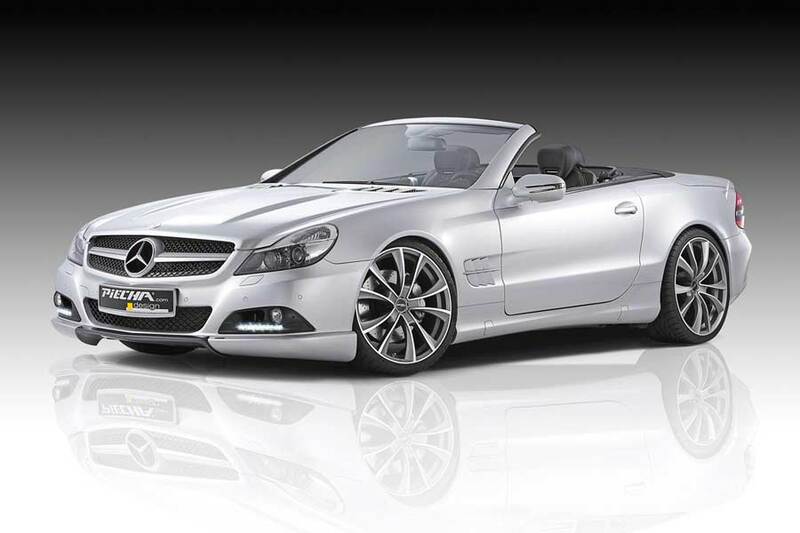 Rottweil-based Mercedes-Benz tuning specialist, Piecha Design, has created a new package for the facelifted R230 SL-Class model. 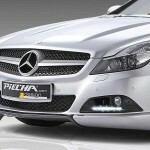 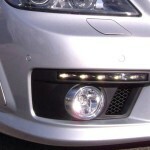 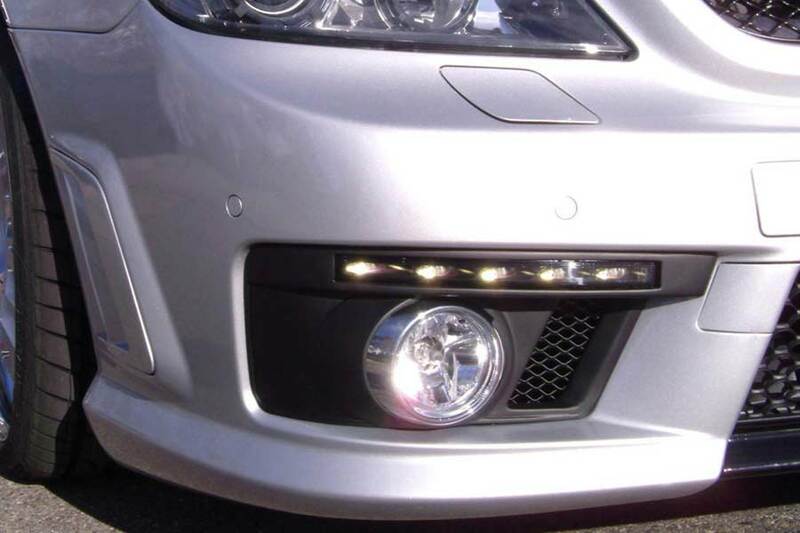 Visually, Piecha offers a lower front spoiler and light units that replace the factory items, but include LED daytime running lights as well as fog lamps. 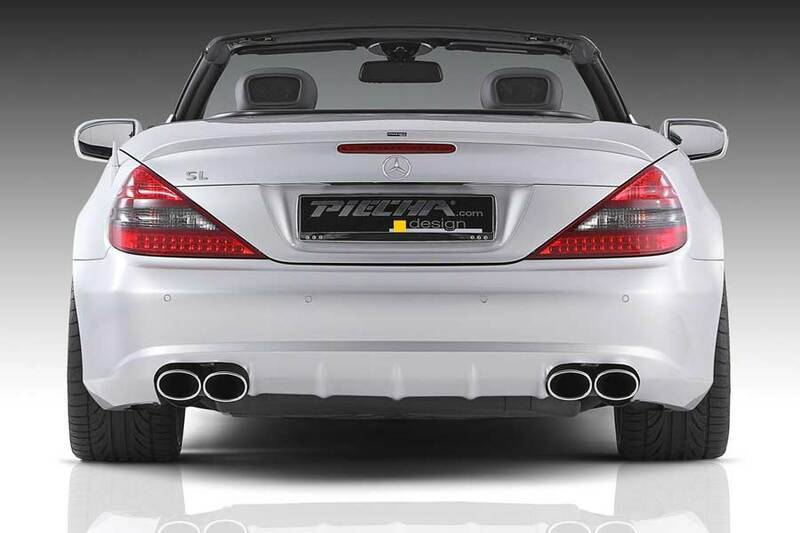 At the rear there’s a discreet bootlid spoiler and the quad tailpipes that finish off the company’s stainless steel sports exhaust system. 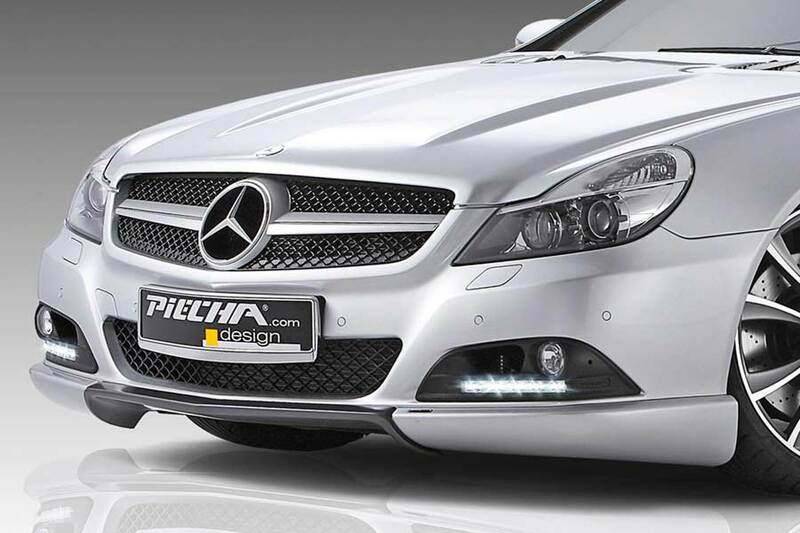 Depending on your model of SL, Piecha can provide springs or a lowering module – for cars fitted with ABC (Active Body Control) active suspension system – to achieve a -30 mm drop in ride height. 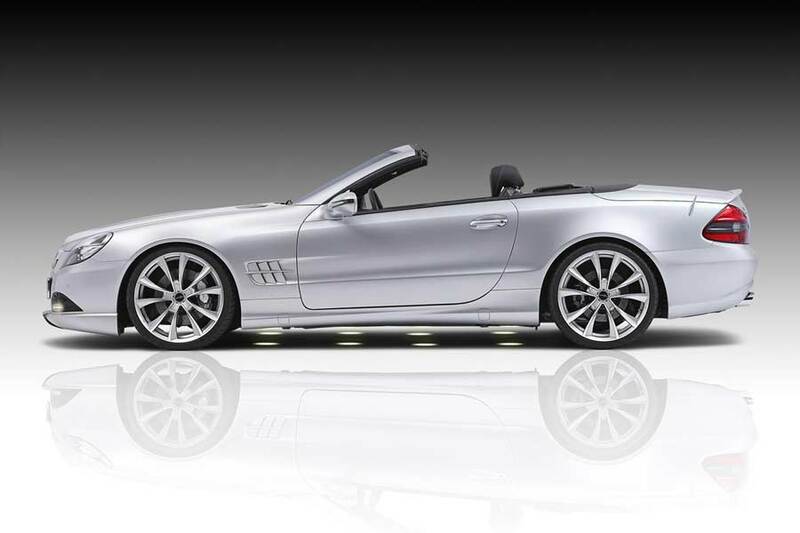 The monster 20-inch rollers are Piecha’s MP1 monoblock wheels, finished in polished titanium silky-gloss.